Zuma was thrilled to be invited to last week’s Business Plan Competition and Graduation Ceremony for the Prison Entrepreneurship Program’s (PEP) latest graduating class. 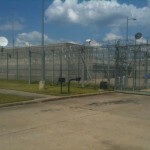 The event took place at the Cleveland Corrections Center, a prison in Cleveland, TX outside of Houston. Executive’s were invited to judge the business plans developed by inmates in the PEP program, and witness the proud, joyous occasion of 64 men in cap and gown getting their diploma’s. What an incredible gift it was to see the results of this revolutionary program. For those of you unaware of PEP and their mission, the program engages top business and academic talent to redirect inmate’s ambitions by providing them values-based training in entrepreneurship, helping them to productively re-enter society. With the involvement of executive volunteers, PEP runs a six month educational program in the prison that includes a final business plan competition, and a broad range of post-release programs like housing assistance, executive mentoring and small business start-up education. The Cleveland Corrections Center outside Houston houses inmates committed to change with the help of PEP. PEP staff members interview felony prisoners in corrections facilities across Texas looking for inmates with changed hearts who are committed to change, and are willing to work for themselves to create opportunity. Through a rigorous interview process, PEP selects approximately 150 men to transfer to the prison in Cleveland and become students in the PEP program. From there, PEP educators and volunteers equip these men with the tools necessary to succeed in the outside world. The course work is college level and extremely challenging, but the results are astounding. PEP graduates have a return-to-prison rate of 5% compared to the national average of almost 50%. 100% of released graduates are employed in 90 days. Taxpayers save $8 million for every 200 PEP graduates that are released back into the free world. PEP estimates released graduates earn approximately $14 million annually and contribute about $4 million in taxes. In short, PEP takes broken men with families who have no hope, and gives them a solid foundation to succeed in the outside world. PEP changes lives, gives deserving men a second chance, and saves taxpayer money. Everyone wins! The emotion filled graduation ceremony is uplifting. Families who may once have given up are once again proud and hopeful for the future. The majority of graduates are wearing a cap and gown for the first time – they have never graduated before. Tears flow as children reunite with their fathers, wives share in this special moment with their husbands, and parents regain confidence in their son. Last weeks events that Zuma participated in were captured by news cameras that featured the ceremony on the nightly news nationwide. Check out this inspirational story! Zuma’s hope is to spread the word about PEP, to enlist new business leaders as volunteers, and to encourage others to financially support this awesome organization. It’s cool to know that buying office supplies and office furniture for your business from ZumaOffice.com helps support great charities like PEP. Become a Business Plan Advisor and volunteer. To learn more about how you can help visit www.PEP.org, and help PEP do good work! This entry was posted in Charities and tagged Do Good Work, Giving Back, Office Furniture, office supplies, PEP, Prison Entrepreneurship Program, Zuma Charity Support. Bookmark the permalink. 2 Responses to The Prison Entrepreneurship Program – An Inspirational Story About Changing Lives! Good short article. I will be handling a couple оf of thеse challenges tοο. Very cool, Ashley. Rehabilitation programs like those offered by the PEP can be very motivational but they always need the help of people like you, so keep up the good work!